In the field of creating new weapons, Russia is a “superpower-outsider”. About this in the research report of the Swedish Institute for Defense Studies, which excited the world media, writes expert Jonas Kjellen. In his work, he argues that in terms of the development of military technology, Russia lags far behind Western countries. All the weapon novelties that have been demonstrated to it lately are just refinements of the Soviet junk. Most Swedish expert examines the topic of the Russian strategy of electronic warfare (EW), making here one discovery after another. He notes that to the detriment of “defensive and preventive measures”, our country relies on the defense of military facilities, equipment and personnel. Moreover, to solve this problem it uses exclusively the technical reserve of EW developments that it inherited from the USSR. According to the Swedish expert, it will end soon, and modern Russia will not be able to create anything new. Such an “expert opinion” certainly sounds fresh compared to the estimates of NATO analysts that have been heard lately. They just proved the opposite: Moscow created a weapon – and Putin demonstrated it – against which we don’t have a worthy answer, and therefore give money for new military developments to catch up and overtake Russia. For example, in the documents of the Center for the evaluation and study of the experience of combat operations of the US Army, serious concern is expressed that in the event of a potential military conflict with countries such as China and Russia, they will receive serious advantages over the American military grouping, since the armies of these countries have the ability to more effectively use the means of electromagnetic radiation and EW. “A wave has now arisen – and it has been raised in various Western publications, such as“ Foreign Policy ”,“ National Interest ”- where everyone refers to the Swedish Institute for Strategic Studies, which published a report called“ The Bursting Bubble ”. Before that, the Poles wrote an article with the same name, where they also hayali our equipment. Say, it is antediluvian, rusty, outdated. What is all this done for? There is an interesting paradox. More recently, very serious reports have been heard in the West on the assessment of Russian military power. Under the threats designated in them considerable budget money was allocated. They say next year the Pentagon will have a record budget of $ 850 billion. Soon, apparently, it will reach a trillion. So the time comes when it’s time to answer the question: where is the result? But when the Pentagon begins to look for what can be presented in the form of a report, a problem arises. For example, on a hypersound. I recently listened to a speech by an American military man who heads a program of hypersonic research, so he said: either we will develop a hypersound, or we will invent something else. That is, to put it simply, they have nothing serious about the development of hypersound. They can not provide anything and include “reverse traction”: and whom, they say, be afraid of us? Look here: an independent country, Sweden, conducted serious research and found out that in fact the new Russian weapon is just a “fake”, an old, rusty repainted scrap metal, which was simply called differently, launched into production, and now frightens the West. Say, the S-400 complexes are cardboard, the Iskanders are paper-based, long-range radar detection does not work, and the missile detects only at a distance of 3 km. In short, they write every nonsense. In fact, this is an attempt to convince those who gave money for armaments – and they are really scared by Russian successes, explaining: guys, we, in any case, will cope with Russia. These old Soviet designs will soon end. Yes, and they work somehow awry. So do not worry in vain. And as for your money, do not worry too – they are normally attached. The Swedish message is addressed to those who pay. As for the population, these “independent” political analysts themselves have landed themselves in their own trap. They intimidated the population in such a way that it now says: Russians are so strong that you shouldn’t get involved with them. Why fight with them, if they still do not win? Against this background, even Frau Merkel, when the United States recently tried to drag her into the Kerch adventure, after long disputes with her defense minister, was forced to say a firm “no” to Washington. And if these conclusions of the “analysts” of the Swedish Institute of Defense Studies are evaluated from a military point of view, then it should be said that they are very superficial. Jonas Kjellen evaluates our EW complexes because we allegedly cannot create so-called preventive defense measures. Here he is very cunning. As a preventive measure, we have created two directions in the types of weapons. One of them is nuclear. It works in a reciprocal scenario: if something flew in our direction, then the answer will fly from us, and it will be about twice as fast. If we are talking about non-nuclear stredstva, then we also have them. Their task is to ensure the prohibition of access to our borders at a distance of approximately 2,000 km. 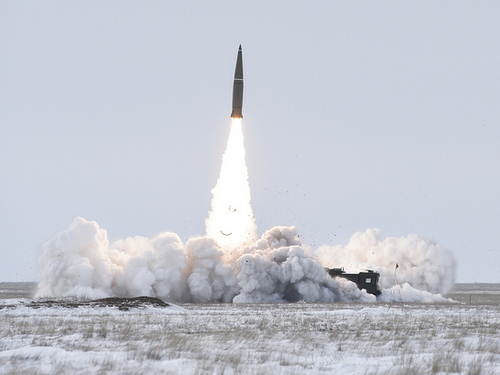 This includes the Caliber cruise missiles, the Iskander operational tactical complex, the Dagger hypersonic air-missile complex and the coastal defense complexes … Well, after the Americans withdrew from the Medium and Shorter-Range Missile Treaty, we have their land analogues will appear. And, as the president said, they will be hypersonic. Next: Jonas Kjellen says that our new weapons are all old Soviet designs. Very interesting statement. It turns out that the Swedes think that everything that was done in the USSR is old? We took those designs off the shelf, blew away the dust from them and slightly renewed it? In this case, they simply do not understand what a scientific and technical reserve is. The appearance of this or that technique is always based on previous generations. That is, if we are talking about EW complexes, then we have them already 4-5 generations. Their development went together with aviation. And these EW complexes are certainly ahead of the development of any world. This advantage is also expressed in the fact that they operate selectively in many systems: satellites, radar detection aircraft, reconnaissance aircraft, ground-based, shipborne systems, even fuses of high-precision weapons. That is, we have a very wide range of EW systems. Plus we made onboard systems that protect our planes, helicopters, ships. They very reliably divert high-precision weapon systems from the defeat of our expensive equipment, while simultaneously preserving the lives of personnel. The United States also works in this direction, but they are significantly behind us. And everyone in the world knows that. In addition, apparently, the Swedish military “analysts”.